Juanita Jones-Wible arranges photos of her daughter Amanda, at her home in Philadelphia. The harassment began when Amanda Wible was in elementary school in Northeast Philadelphia: Classmates called her names and ostracized her for being different, the kind of kid who dressed in loose clothes and didn't conform to society's idea of what a little girl should look or act like. It started with name-calling — "A-man-duh" — and escalated to physical attacks over nearly a decade at four different Philadelphia public schools. Wible was punched, shoved, spit on, even beaten by as many as 10 students at once, according to court records. Wible eventually fled the district, enrolling in cyber school to escape the bullies who tormented her and the adults who let it happen. In May, a Philadelphia Common Pleas Court judge ordered the Philadelphia School District to pay Wible $500,000 in damages. It was the first time a court has held a Pennsylvania school district liable for student-on-student harassment under the state's Human Relations Act, in what experts call a "landmark" decision that could have broad implications for other bullied children and the systems that educate them. 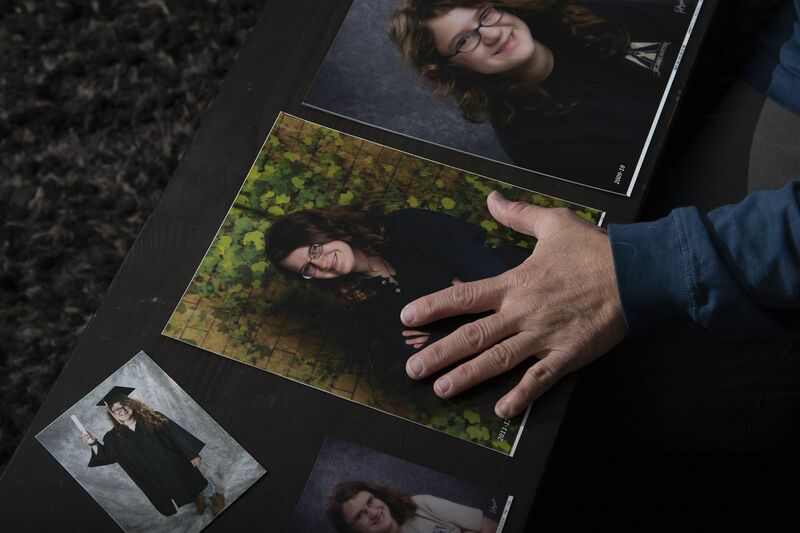 The district has challenged the ruling, arguing that Amanda was not the victim of systemic bullying, that what she experienced wasn't discriminatory or gender-based, and that it shouldn't be held liable under the Pennsylvania Human Relations Act. Lee Whack, the district's spokesperson, said he could not comment on the litigation but said the school system's policies are clear, aiming not just to address incidents of bullying but to foster environments where such harassment doesn't happen. "We take any report of bullying very seriously," Whack said in a statement. "Bullying has been impacting communities nationwide, and we are committed to confronting it head on." Once considered a schoolyard rite of passage, bullying has stoked a national conversation and captured the attention of lawmakers and courts. In the U.S., at least one in four students is bullied at school, federal statistics show. At least 70 percent of students say they have seen bullying at school. And the proliferation of social media — and cyberbullying — has intensified the scrutiny on how, how often, and how viciously students can taunt their peers. Most states have bullying laws on the books, but their content and enforcement varies. And the legal ground is still uneven. In 1999, the U.S. Supreme Court ruled that schools could be held liable for failing to stop peer-to-peer sexual harassment. In 2007, New Jersey's Supreme Court held the Toms River School District responsible in the case of a student who was bullied because he was gay. Five years later, a Missouri appellate court made a similar ruling in the case of a Kansas City student who was sexually harassed at school. The Philadelphia-based Education Law Center, a nonprofit, often hears from students like Wible who are being bullied with little or no intervention from adults, said Lizzy Wingfield, a lawyer there. If it stands, this judgment changes the landscape for them, she said. "This sends a vital message home to school districts," said Wingfield. "It's clear under state law now: This is not OK."
Wible is 20 now, a college student studying English and creative writing at the University of South Wales, over 3,000 miles from home. But her experiences in Philadelphia schools still underpin everything, she said in an interview, the first time she's spoken publicly. At Pollock Elementary, where Wible enrolled in 2003, the problems began with schoolyard taunts. She could shake them off at first — she was smart, a gifted writer who loved to learn and devoured books. "It was mostly name-calling; kids would talk about how I looked, and the fact that I dressed like a boy," said Wible. "But it got worse. School got horrible; I never wanted to go. The classroom situation was too stressful to be in." By the time Wible was in fifth grade, the harassment turned physical, she said. Both Wible and her mother, Juanita Jones-Wible, alerted school officials, who once suspended an older male student who terrorized Amanda. But his behavior persisted, according to court records, and the authorities failed to act beyond the single suspension. "We just hit wall after wall," said Jones-Wible. Juanita Jones-Wible holds a photo of her daughter Amanda, at her home in Philadelphia. Eventually, Jones-Wible removed her daughter from Pollock, transferring her to AMY at James Martin, a middle school in Port Richmond. Things worsened there. "It started almost right away — name-calling, pushing, shoving. I'd be hit; I'd have things stolen from me," Wible said. "I'd report things all the time, and they'd tell me: 'Ignore them. It will stop. We'll talk to them.' "
Once, a large group of students physically attacked Wible, according to court records; administrators blamed the attack on Wible and suspended her. She began having panic attacks. The story was similar at Baldi Middle School in the Northeast, where she transferred next, and at George Washington High School, where Wible began ninth grade. Lunch trays were thrown at her, and she would have to clean up the mess. She made a friend, but classmates insisted the pair were dating, Wible said. "The boys would try to shove us together and tell us to give them a show," she said. "They'd tell us to kiss." The harassment shaped Wible's life, and it shaped her mother's — the worrying, the ferrying her daughter to doctor's appointments, the trying to find after-school outlets so Wible would have something to look forward to. That the harassment went on for so long, and at so many schools, still mystifies Jones-Wible. "If those things had happened in an office, the people who harassed my daughter would be arrested," said Jones-Wible. "The school district should not be exempt from following the laws that govern our society. Nobody should have to send their kids into that situation." Judge Gene D. Cohen, in his ruling, found that "the school district acted with deliberate indifference to the discrimination and bullying suffered by Amanda." Eventually, she withdrew from Washington, transferring to a cyber charter to finish out 10th, 11th, and 12th grades. "I was able to get my classwork done," Wible said. "There wasn't anybody to ruin the experience for me." After high school graduation, in 2016, Wible wanted to put an ocean between herself and Philadelphia. In Wales, there's no chance she'll run into anyone she knew back home. Amanda Wible was bullied and sexually harassed for her entire time in the Philadelphia School District. As a result of the bullying, Wible still suffers from post-traumatic stress disorder, depression, and anxiety. She has had suicidal thoughts and engaged in self-harm. She still has trouble trusting authority figures, even friends. "Amanda feels like it's her against the world," her mother said. "She's so many miles away, but I want her to be where she feels safe." Reliving the harassment through her complaint, first filed with the state Human Relations Commission in 2013 and the court in 2015, was painful, Wible said, but it served a purpose. "It can help people," she said. "That was the point. I hope they pay a lot more attention to bullying. I hope they take it a lot more seriously."